My home is on fire. As I come around the corner, my HUD glowing red and splattered with rain, I see three other people firing into a crowd of giant space aliens wearing heavy armor. I draw my auto rifle and start to shoot at the invaders. I aim for their heads, where they are most vulnerable. The fight seems to be going our way, until the missiles start raining down on us. Thank God for Commander Zavala’s shield. The opening scene of Destiny 2 has been played on a continuous loop. It was the game’s trailer that has been making its rounds on social media, and most people going into the September 6 launch had already seen the opening cinematic and gameplay for the first mission. But watching the game developers play and experiencing the annihilation of the Last City are entirely different. As I defended the Tower from the Cabal’s onslaught, I felt chills run down my spine. 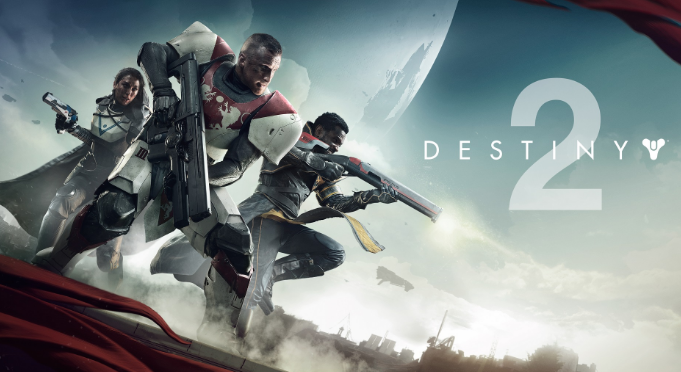 Destiny 2 is the much anticipated sequel to Bungie’s Destiny. The online multiplayer first person shooter had been unable to live up to people’s high expectations when it hit shelves in 2014. The game was able to shake some of the negative reputation it had gained with its expansions, but it wasn’t until The Taken King in 2015 that the game finally felt like it had come into its own. 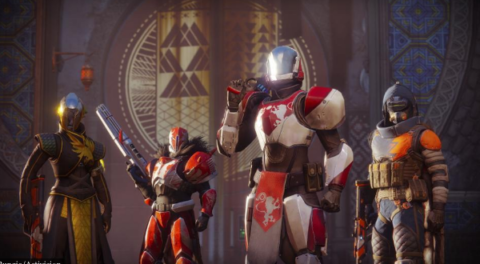 It seems that Bungie heard every criticism lobbed at the sprawling, sci-fi adventure and corrected course to fix its most glaring issues and retool the world of the game to make it welcoming for new and returning gamers. Although the story of the sequel can be boiled down to a standard, sci-fi epic, the writers for Destiny 2 have eliminated tiresome language in the game and tossed some of the more confusing parts of the story from the original. The clunky Grimoire cards, where players had to go to Bungie’s website (or companion app) in order to gain any semblance of story, has been completely scrapped and the first minute and a half of Destiny 2 holds more story and exposition than the entirety of vanilla Destiny. The campaign of the story is miles ahead of what was seen in the first game but is filled with tropes and themes that are familiar. Zavala waxes poetic about what it means to be a Guardian; the mission to locate Cayde-6 is goofy and filled with Nathan Fillion’s trademark roguish commentary; the Warlock Vanguard, Ikora Rey, sinks into introspection as she tries to figure out why Dominus Ghaul destroyed humanity’s home. The script leans into its funny moments and provides a little bit of levity to an otherwise grim storyline, but is still filled with inspiring speeches and moments to push the player forward and press the attack on this new enemy. There is a real sense of loss after that first mission in the Tower. The Guardians have lost connection to the Light, the power source that has allowed them to keep coming back from the dead. As I attempted to escape from the destroyed Tower, I had a real fear that my Hunter’s life was at its end. Destiny 2 hits you hard with a feeling of hopelessness. The Vanguard leaders have scattered across the cosmos and the ensuing campaign shepherds the player into finding the lost defenses and restarting the fight to save the solar system from the invading Red Legion and its nefarious leader, Ghaul. Bungie took hints from the positive reception to The Taken King expansion and made a decent baddie in Ghaul. The campaign is littered with cutscenes where we see Ghaul talking with the Speaker, who was captured during the assault on the Last City. Through these cutscenes we find out that Ghaul is angry the Traveler chose humanity to share its Light with and is prepared to take that resource by force until he realizes this would mean he isn’t worthy of the Light. Bungie has given its story a concrete villain with understandable motivations, a positive step away from the nebulous Darkness of the original game that was rarely addressed outside of the Grimoire. Past the campaign, the open world offers so much more to do and see than Destiny. Bungie has populated its four new destinations with characters that expand the worlds and provide a base for activities and exploration. The characters flesh out the world with distinct personalities and make it feel like there are real stakes in the missions. I’m no longer left wondering what happened to humans who didn’t live in the City or whether there were any other allies fighting alongside Zavala’s zombie army. The open world is now filled with much more beyond patrols to accomplish. Adventures are a new type of mission that give the player tasks to complete and provide a little more story outside of the main campaign. Lost Sectors are repeatable, semi-hidden areas in the four destinations where Guardians can go in, blast through all the enemies and collect some all-important loot. Even Public Events have been updated from the first game and are now much more fun and easier to find and join. Perhaps the two best and simplest mechanics that weren’t in the first game are the Director, an in-game map and mission tracker that allows you to see where Public Events, Lost Sectors and Adventures are, and the scrapping of the ridiculous “Orbit” mechanic that made you leave the planet you were on whenever you wanted to change activity. I have been thanking Cthulhu all week for these two additions to the game alone. The character classes saw some changes with new subclasses, as well as the ability to unlock older subclasses from Destiny. The developers also scrapped the leveling system for the subclasses, so when I unlocked the Gunslinger for my Hunter, it was already at the same level as my Arcstrider class and I wasn’t sent back to square one in order to grind, which makes it easier to switch between kits and be adaptable to whatever situation. The class interface is much simpler as well, with two distinct “paths” that the player can choose to customize their Guardian. 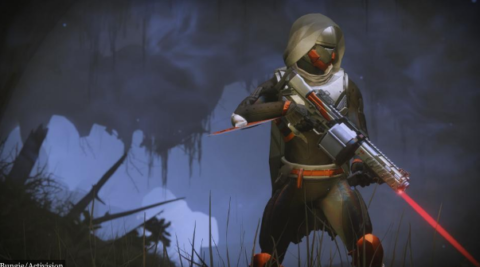 Pairing down and focusing from the expansiveness of Destiny seems to have been Bungie’s saving grace. One of my favorite things about this game has been Bungie’s attention to the smaller details. For instance, I’m currently obsessed with the armor design. The armor is no longer the high-tech pieces from Destiny, but instead appear to be cobbled together with pieces of scrap metal and fabric. The trauma of losing a home permeates the game and is felt all the way down into how the characters dress. Even in the new social space, The Farm, there are scannable items that give context and story of people wanting to escape the City and the Tower. The world of Destiny no longer feels like a doll house that’s filled with enemies to shoot; it now feels like a place where people live that’s worth fighting for. While the majority of Destiny 2 gameplay is the same slog of fighting through waves of enemies until you can get to the strikes and the raids in the post-level 20 game, the campaign and Bungie’s attention to details have rounded out the game to make it seem like a fully-realized world that is in peril. It’s refreshing to be enamored with Destiny 2 and it was exciting to see Bungie step away from its mistakes and make a great game. It will be interesting to see where Bungie will take the sequel with its first raid coming up next week and with the first DLC rumored to be dropping later this year. Hopefully, Bungie and Destiny 2 continue to move in this positive direction. House of Wolves might be Destiny’s last chance to show players that expansions will be more than more of the same.